Grilling as we know it in Indonesia is mostly influenced by American culture and that it goes way back to the age of cowboys. What we may not really know is that the southern part of the continent apparently has a story of its own when it comes to steak. 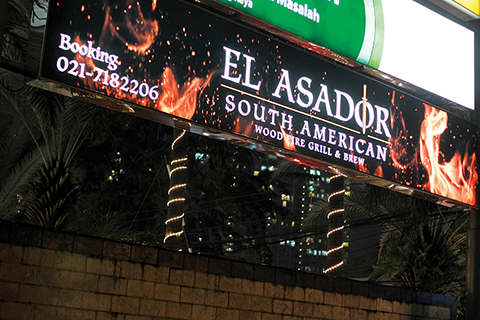 Coming to as far as Jakarta, El Asador shows us what’s so special about it. 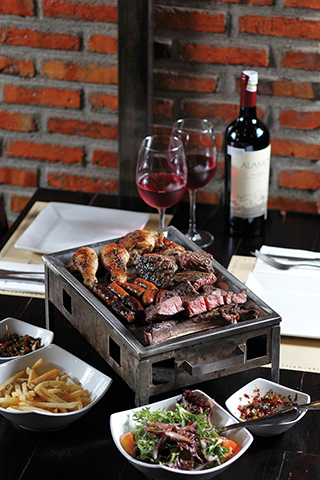 El Asador is located in Jakarta’s Kemang neighborhood and for the past few years has been the best place to start appreciating the grilling culture as taught by the Patagonian cowboys of South America. The name of the restaurant itself refers to ‘the barbecuer’ or the heroes behind the wonderful steaks grilled on a parrilla. The indoor parrilla grill, as used in El Asador and traditional Argentinian/Uruguayan steakhouses is a world of difference than the usual griddle that we often see. The Southern American counterpart uses metal nets laid flat and a space is provided below for the grilling fuel but not for direct fire, instead it utilizes indirect heat from embers of hardwood. Traditionally, the outdoor grill is made from a cross-shaped metal used to hold the whole animal together and it can be tilted manually further or closer against the open fire and to adapt against the wind. Usually this role is entrusted to asadors and the most experienced among them usually have the ability to hunt, slaughter the animal, and down with the cooking. 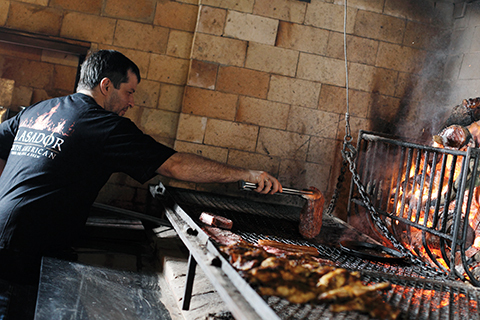 The parrilla grill itself provides a challenging environment because of the immense heat. Hence the term of ‘mansquite’ among the asadors or the mixture of scents coming from sweat, meat, and smoke as a result of all-day grilling. It is the fruits of labor of these hardworking gentlemen. El Asador uses specific beef aged between six to eight weeks and only seasoned with salt and pepper with no marinating process at all. The favorite cut here is definitely the ribs but the flat iron steak, chorizo, lamb sausage, and the traditionally known cuts such as vacio (flank steak), pamplona (chicken rolled with lamb fat), and lingua (beef tongue) are also must-tr y. These cuts are served altogether on a tray and it is a sight to see for meat lovers! 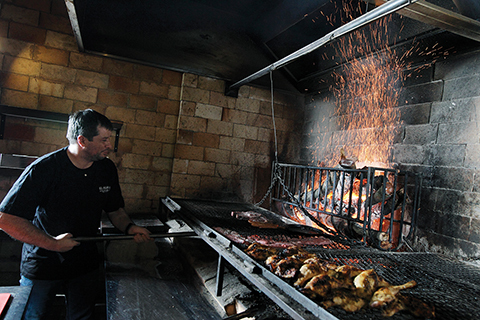 With a huge crowd coming every day to El Asador to savor the steak and the togetherness, there’s no denying that the grilling heritage from the Patagonian gauchos will remain alive until far into the future.